Suitable for all levels – Limited spaces! Liz Richards has been running this popular class for 9 years in association with members of The East Coast Tri- Club and Iron Man Training along with other local sports clubs and individuals who prefer a class with a sports focus. There is often a waiting list for this class so early booking is advisable. 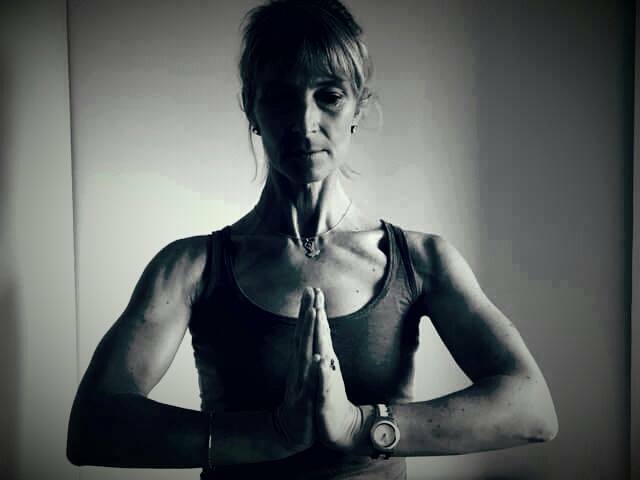 Liz brings over 10 years of practice and teaching experience to these specialised classes, coupled with extensive and ongoing training with senior instructors in Ireland and abroad. She has worked closely with several top athletes to help improve their breathing techniques, strength, flexibility, stamina and mental focus. It is also attended by students involved in a diverse range of other activities such as rugby, football, tennis, golf, walking, running, swimming, cycling and equestrian sports all whom have reported a significant improvement in their athletic performance and enjoyment of their chosen sport. This entry was posted in Latest News and tagged beginners yoga for runners wicklow, Liz Richards yoga, liz richards yoga for runners, wicklow yoga classes for athletes, yoga classes for runners and athletes with liz richards, yoga classes with a sports focus in wicklow, yoga for runners and athletes ananta yoga studios wicklow. Bookmark the permalink.